Here at Nooks & Cranberries, we’re all about finding inspiration in the world around us, whether we’re at one of Seattle’s many wonderful cafes, bakeries, or bars, an inviting hotel lobby, or even out in the great outdoors. One of the secrets to writing is being able to find inspiration wherever you are. And that includes at home. Last week we took at look at the home office of Emily, the blogger behind Cupcakes and Cashmere. Her focus on white and pale hues, with pops of color and contrast from fresh flowers and a chalkboard, surround her in beauty, style, and simplicity. 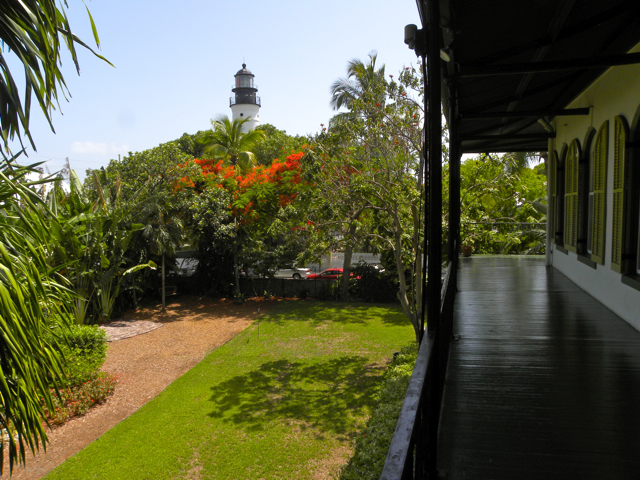 Today’s featured Home Writing Nook is Ernest Hemingway’s Key West writing studio. 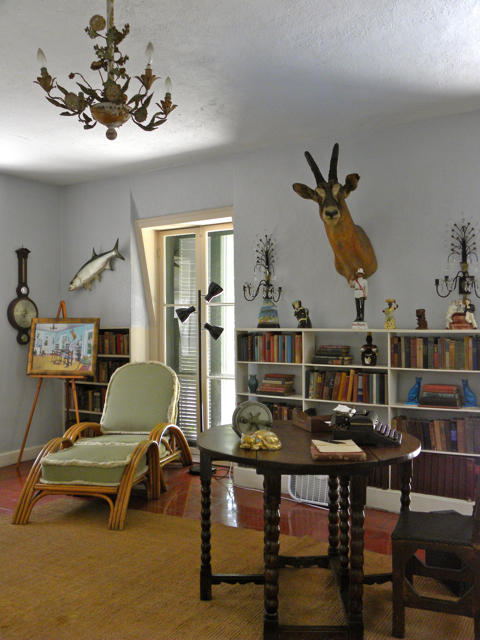 Notice the typewriter, trophy mounts, and book collection, not to mention the spacious interior. It’s considerably more masculine than our previous featured Home Writing Nook, but just as inspiring and personal. 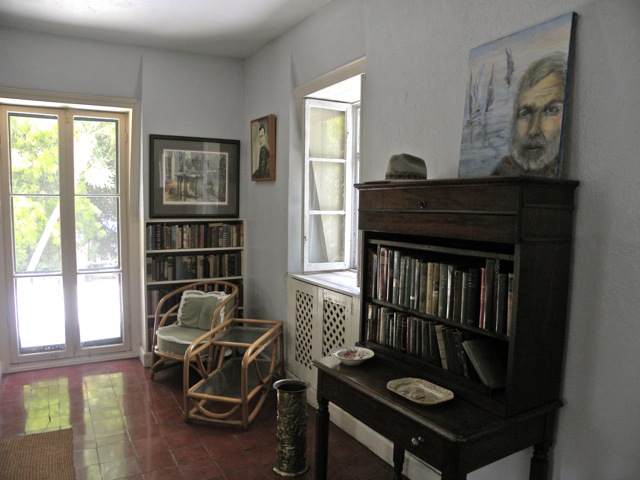 Separated from the main house, Hemingway’s writing studio occupied the second floor of a former carriage house. 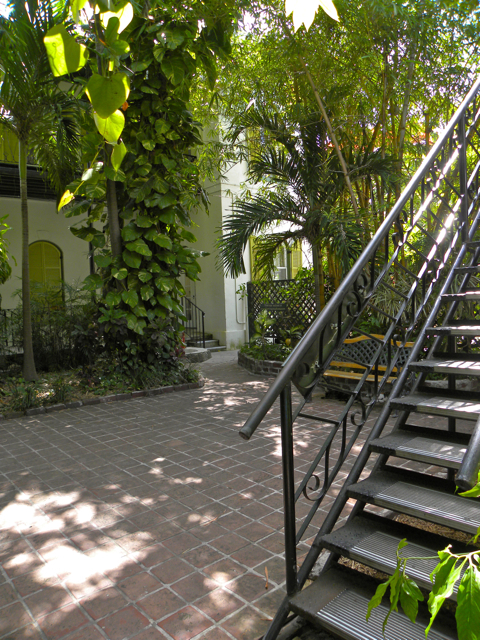 A cat walk ran from the house’s veranda to the studio, allowing Hemingway to get out of bed in the mornings and walk directly to the studio, according to the Hemingway Home & Museum’s website. 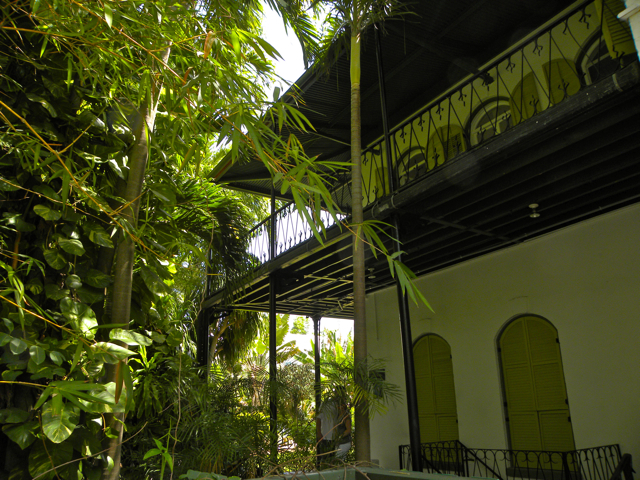 Hemingway spent more than ten years at this house in Old Town Key West, and wrote For Whom the Bell Tolls, To Have and Have Not, Death in the Afternoon, Green Hills of Africa, and many short stories here (source). Surrounded by lush landscaping, balmy heat, and the blazing sun, wouldn’t this be a pleasant oasis, just the place to inspire a writer?